Folk singer and story-teller, translator and folklore researcher András Berecz is a unique phenomenon and a specialty in himself. His singular style is that of an authentic and powerful master of the archaic Hungarian traditional singing practice. His songs, tales, studies, translations are widely known and loved in Hungary, in former Hungarian areas, and in the world over. His publications, CDs, books have reached all corners of the world. He is a „living legend” of the Dance-house movement rallying and transmitting traditional dances, music and songs. This time he performs with his son István and their excellent musician friends. The band plays traditional Hungarian music. The members are outstanding musicians, some of the best in the new generation of the Dance-house movement. András Berecz is coming to the festival in cooperation with the Storytelling School of Estonian Folk Culture Centre and Piret Päär. Cätlin’s traditional tunes and Jaan’s musical and verbal dressing blend into a novel folk compote, seasoned with sweet fairy tales and warm and spicy folly. Cätlin Mägi and Jaan Pehk have been playing together in different groups for over 20 years. 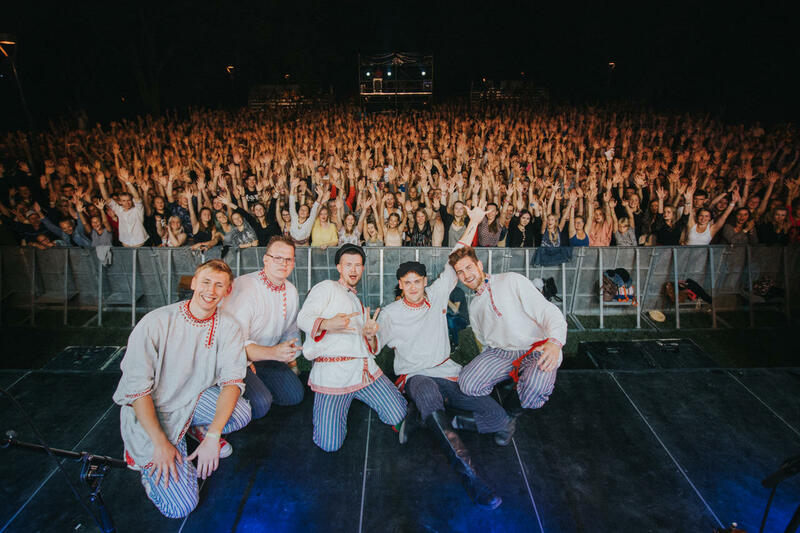 At Viljandi Folk Music Festival, they’ve performed previously in a group called RO:TORO. 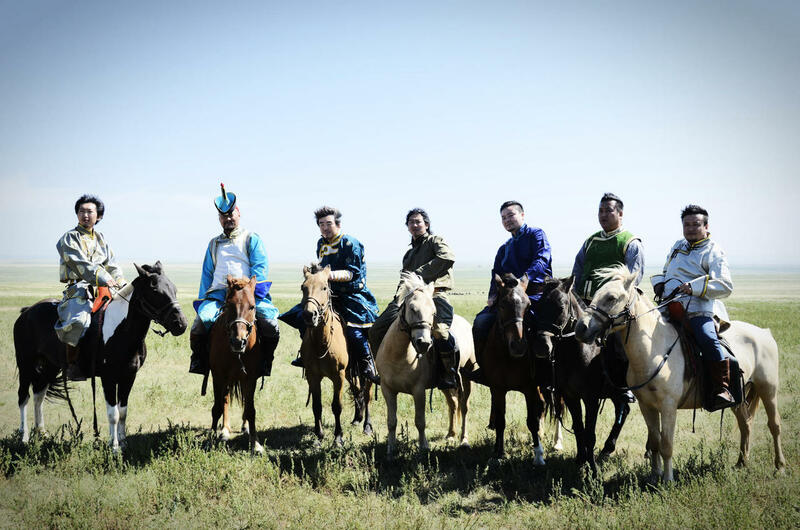 Beijing, China with members who grew up in the grassland regions of Inner Mongolia. Choor is a very old word in Mongolian, meaning polyphonic, harmonic, and overlapping. Duo Ruut is born from a longtime friendship, countless laughs shared and hours spent together. The four walls of Ruut (The Square) are held up by Katariina Kivi and Ann-Lisett Rebane who both study in Tallinn, in the Old Town Educational College. One day, they found themselves playing together on one single kannel, although neither of them was really a kannel player. It turned out to be a really interesting and innovative way of playing. Apparently kannel can be simultaneously used as a melodic, harmonic and percussion instrument, and can thereby create very different soundscapes. Duo’s repertoire consists of self-made unique folk music arrangements. “King” is no exaggerated title in the name of this remarkable Ghanaian artist. 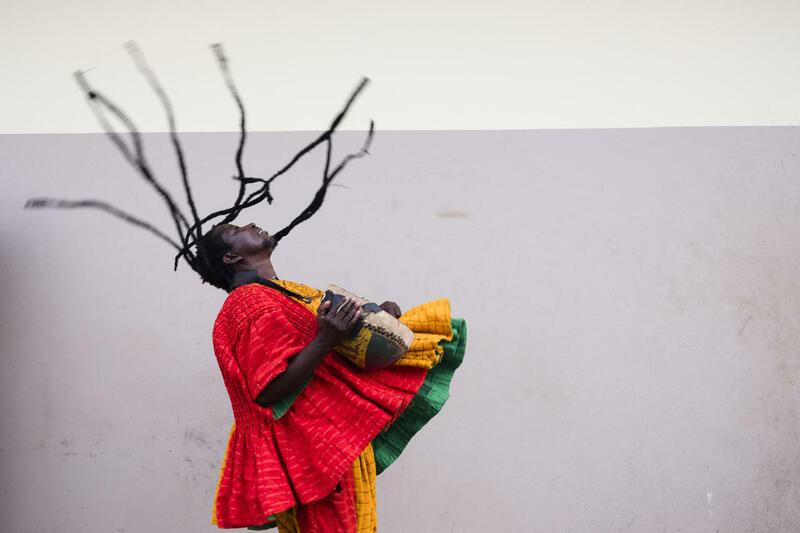 King Ayisoba is a real superstar in his home country and known all over the world as the King of kologo (a lute instrument from West Africa, made of calabash and a goatskin). His hypnotic and bouncing wild melodies, a trademark raspy vocals and straightforward and persuasive songs have enchanted audiences across the world. King Ayisoba has been called “a musical preacher” because in his tunes he often gives advice and talks about good and bad. He himself has said, that his music is the medium to talk to his people, to advise and encourage them with the ancestors’ wisdom that never grows old. King Ayisoba grew up in a small village and as a boy he always had his kologo with him whenever he took the family sheep and cattle out to graze. He played at markets, local bars and funerals until he was old enough to leave the region and try his songs on the people in big cities. He has won many notable music awards and participated in numerous collaborations with different artists from around the world. Lena Jonsson’s ability to balance a deep knowledge of traditional Swedish folk music with innovative artistic sensibilities, sparkling joy of life and a charisma of a rock-star have made her one Sweden’s most visionary musicians. She has created a unique style inspired by traditional Swedish music as well as rock, pop and the american old-time and bluegrass traditions. This world-class musician is coming to Viljandi with her amazing trio that was nominated for a Swedish Grammy this year for best Folk album. MandoTrio is a group of three young mandolin players who play traditional music and their own compositions. In addition to the husky sounds of double strings they are also using stomp-box and octave to spice things up with bass and drum. MandoTrio’s mission is to infect people with mandolin madness. Hans is from Tallinn, Kristjan from Liimala and Tanel from Jõgeva, they were brought together by Viljandi Cultural Academy and by the love of mandolins in traditional music. These happy fellows will present their second studio album in Viljandi and they’ve invited along their most inspiring friends and fellow musicians, to make it truly memorable. Nagy Bögö plays post-traditional music. The pillars of their musical creation are the folklore and the traditions, their source of inspiration the nature, home and friendship. Nagy Bögö starts with our own roots and ends up in Hungary, Bulgaria, in a fascinating symbiosis between the modern and old times or possibly in some completely unexpected place. The band is not afraid of putting together the opposites, crossing the boundaries and experimenting with traditional tunes on their musical journeys. The sizzling synergy between Nagy Bögö and the audience charges everyone with positive load that will last for a long time. Nikns Suns, named after latvian expression for raging dog, is a charismatic group that creates symbiotic mixture of traditional folk music and heavy rock. Their music, filled with ancient might and sparkling energy, has been highly esteemed by folk, rock and metal music enthusiasts alike. Having dug out the most inspiring ancient songs, Nikns Suns transforms them into modern rhythm music context without losing touch with the original. Stories of band’s powerful and authentic stage presence at concerts have become folklore on their own. 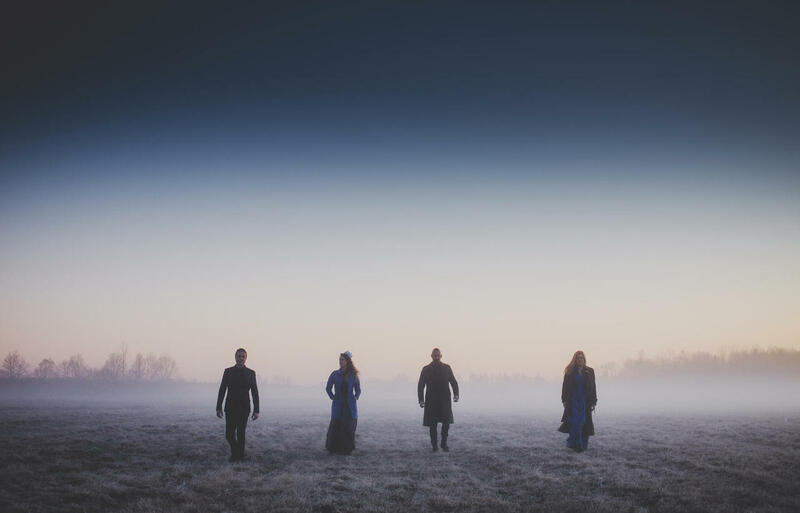 They released their first album named “Kuri koer” in summer 2011 and their second album “Urjoh, hunti!” in summer 2017, which was nominated for the best metal album award at The Estonian Music Awards 2018. Orivesi All Stars is the biggest folk music collective in Finland with almost 100 members whose age varies from 8 to 85 years. The orchestra was founded to promote the discovery, learning, experience and sharing of musical joy. This lovely group does not distinguish between amateurs and professionals and the only goal is to produce nice and meaningful music together in a good spirit. 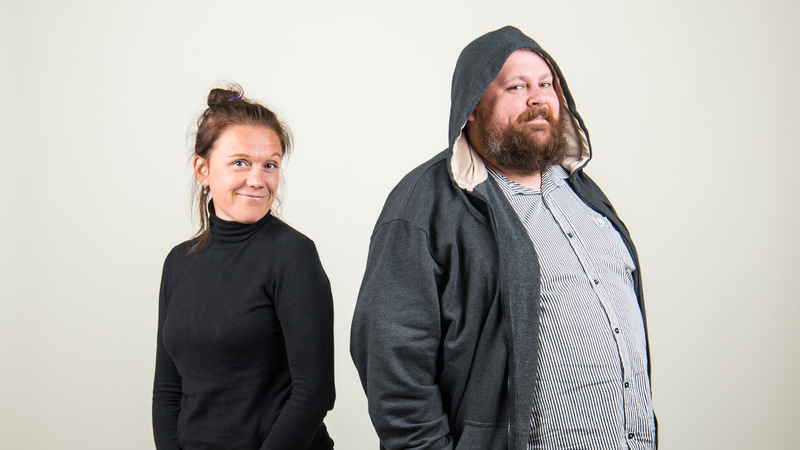 The whole big and happy beehive is headed by true Finnish folk music legends Antti Järvelä and Timo Alakotila. All our tunes sound good. RIFFARRICA (ex-Duo Malva & Priks) started in 2016. 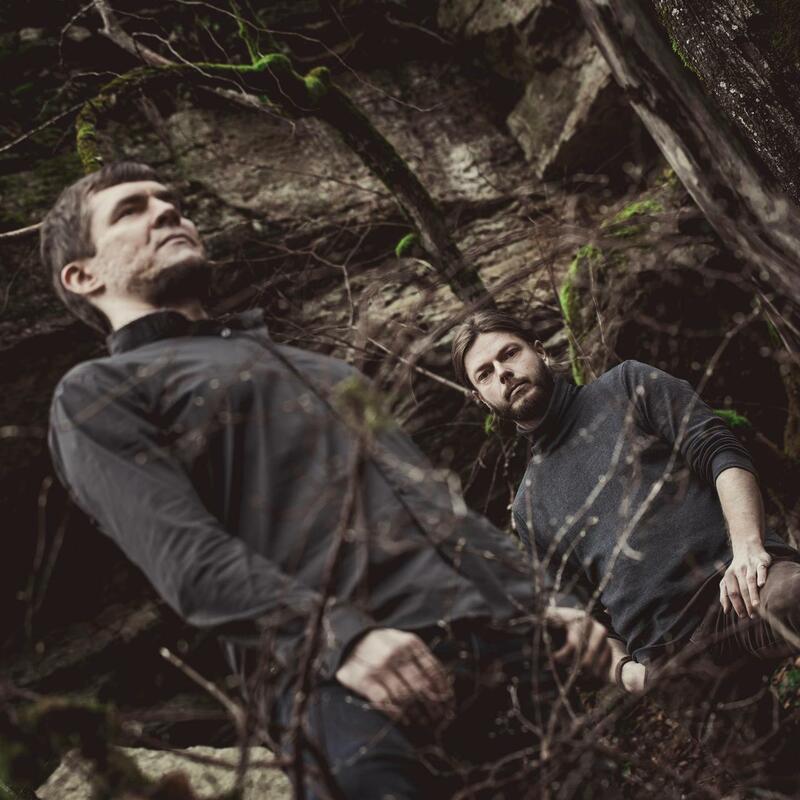 Kulno Malva and Kristjan Priks, both experienced folk musicians, joined forces to make vigorous and masculine folk music, drawing inspiration from centuries-old folktale songs. 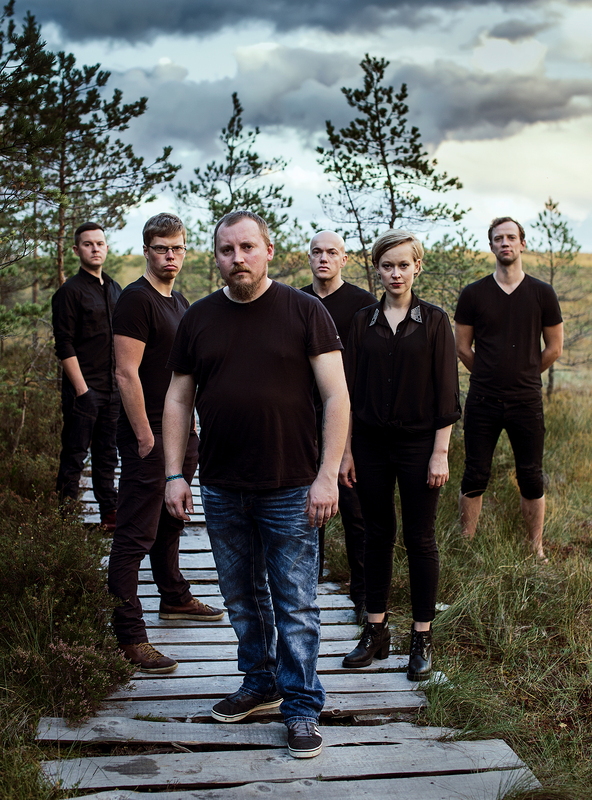 The combination of Kulno’s raspy vocals, dynamic accordion grooves and the sound of Kristjan’s distinctive drum set gave birth to a fresh and exciting sound –"Folk with muscle" as Baltic Music News so accurately named it. 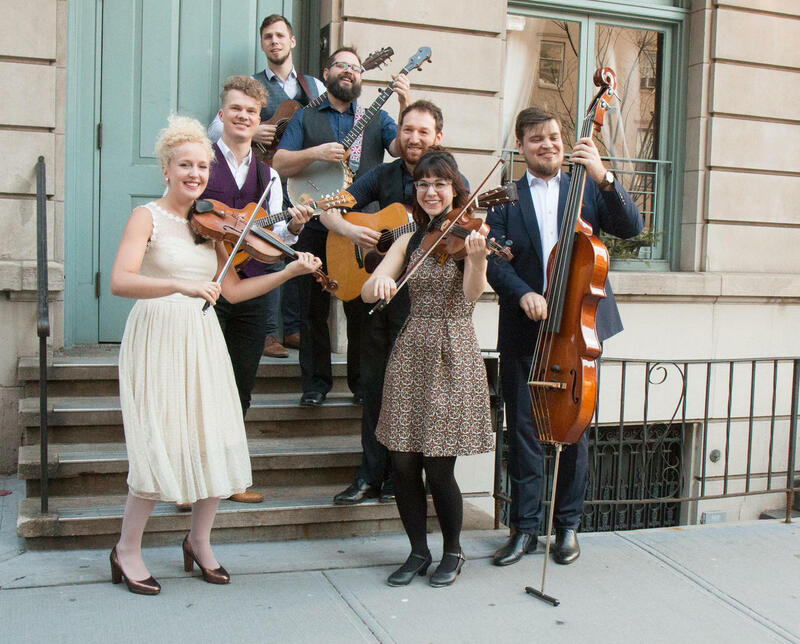 Ensemble Ro:toro is quite an old collective, and so are its members. With age comes wisdom and knowing that there are other precious things in life than messing around with loopers and Jew’s harps or touring the world - there’s good old Ro:Toro with its evergreen tunes. That’s why Cätlin and Sandra got back together with old pals and one thing’s for sure - the tunes are old and golden, with the highest karat! 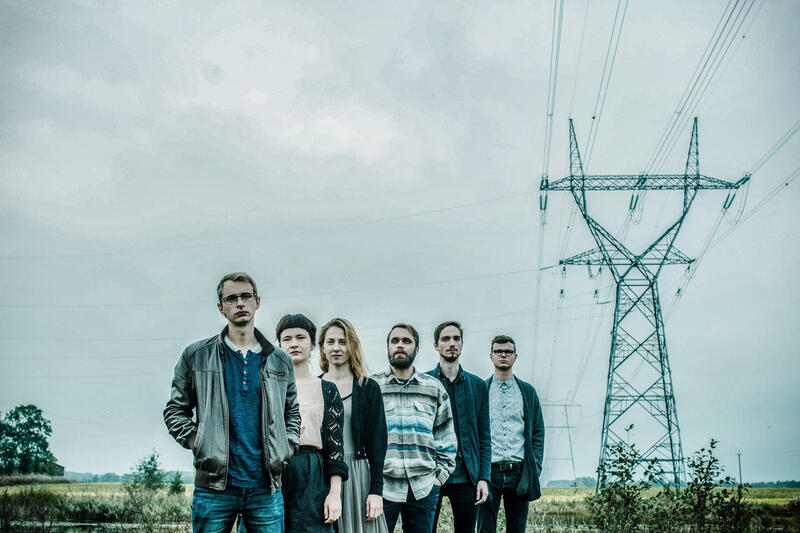 Rüüt is a dynamic, playful and bold ensemble in which different worlds of an actress, jazz-musician and two Estonian diatonic accordion players meet and become combined into one. As a result Rüüt’s music is a good listening to folk lovers, those interested in technical intricacies and also to wonderers of mellow musical landscapes. They have made characteristic arrangements to quite a few of Estonian traditional folk tunes and songs. In addition, the ensemble also arranges their own compositions. And the search for piece’s final arrangement does not end until all the members are entranced by it. To achieve that, the band conjures all kinds of ideas and solutions that will form the music. The band is characterized by mystical atmosphere, intricate harmonic, melodic and rhythmic combinations, precision and a common feel. 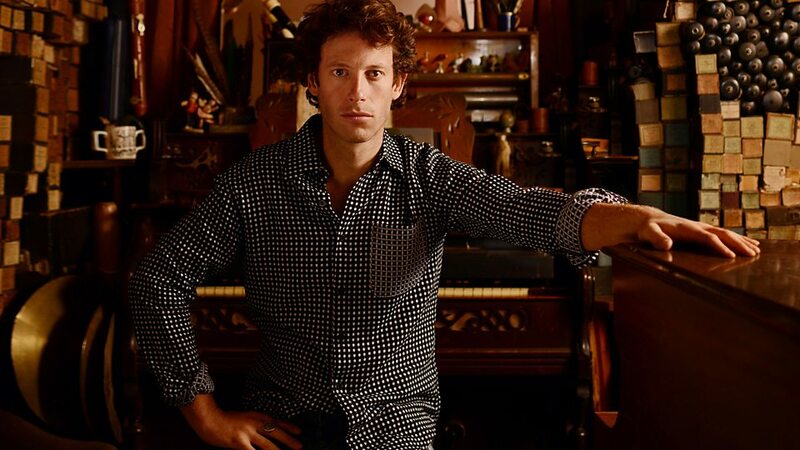 Sam Lee is Mercury Prize nominated folk singer, song collector, award winning promoter, broadcaster, animateur and naturalist. As an artist Sam traverses many worlds, challenging and pioneering folk music in diverse places and ways. Not just an award-winning singer with two highly decorated albums to his name and a sound incomparable to his contemporaries'; his work fostering live music in the UK has been instrumental in the explosion of folk in the last decade. Sam reinvents not just the way these ancient songs should sound but how they can be sourced, exist and thrive, from conscientiously gathering them in Gypsy Traveler camps to singing them for the Hollywood big screen. Once, Silver found himself on a journey to an old shed full of ancient farm tools, hidden away in shady corners. Tools that had once been put down for just a moment and forgotten for at least a half century, tools that had gone grey and mouldy in the hopelessness of the waiting. Silver tapped and tuned to clear the throats of these forgotten things and breathed new musical life into them, so that they could talk and sing about everything that was, is and will be. 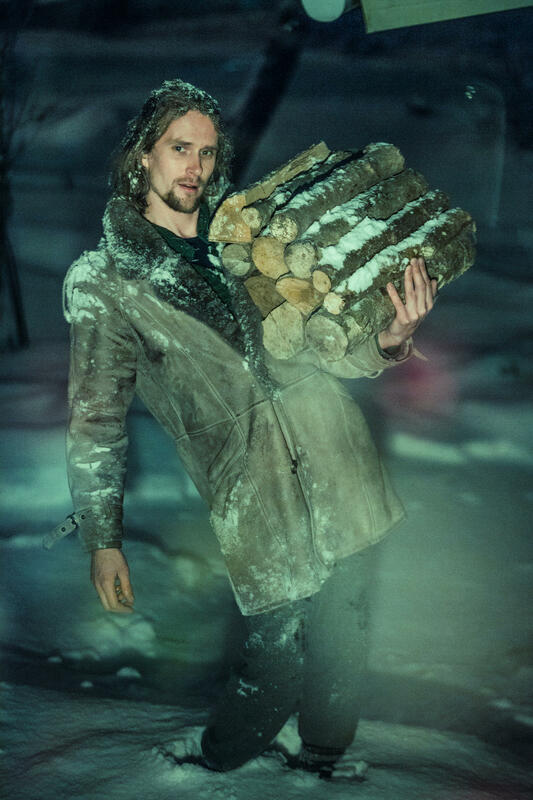 Silver will bring along all his good old mythical friends to this year’s festival: the nail instrument, skis from the woods of Karula, the front wheel of grandpa’s bicycle, wash basins from a hundred-year-old sauna. And for the first time, we’ll get a chance to hear a hand plough originating from his father’s farm on the island of Saaremaa. Digging a furrow with a tool like this unearths runo songs as heavy as fieldstones and hidden viking gold, all buried deep within the layers of time. In ancient Latvia, the name “tautumeitas” was given to young women at marriageable age but today it stands for all women dressed in national costumes. 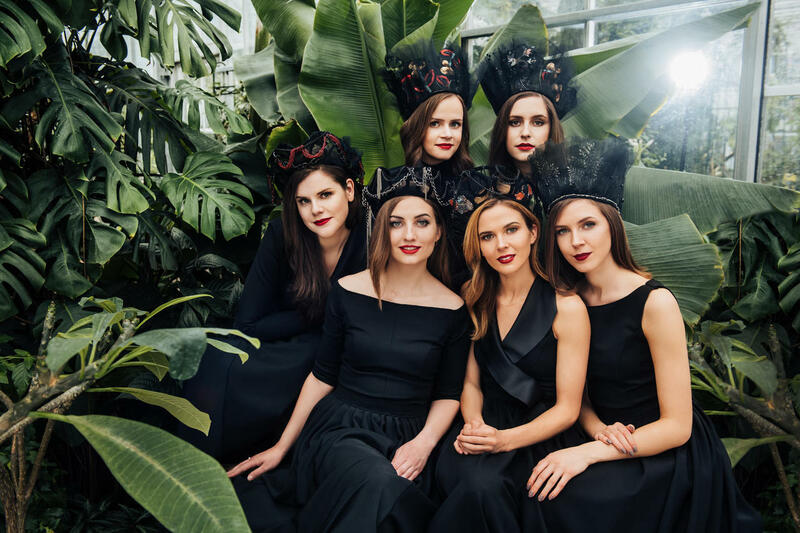 Tautumeitas's music is created by six voices and six pairs of hands owned by Latvian girls, who believe that music makes the world a better place. The principal interest of the group is traditional singing, especially multipart singing. The particular voice resonance created by this form of Latvian traditional singing provides enjoyment not only for the audience but also for the performers themselves. In order to portray traditional music from their own perspective and to show how the modern day 'Tautumeita' thinks and feels, the members each incorporate different instruments into this traditional a capella vocal music. The majority of the band's members have studied ethnomusicology, which is why there are many traditional music influences from different parts of the world. Timbral variety, fresh ideas and eclectic musical taste all fuse together to give Tautumeitas its unique sound. Curly Strings, a four-piece from Estonia, and the April Verch Band, a trio lead by Ottawa Valley (Ontario, Canada) native, April Verch. The beginnings of this collaboration were simple. A mutual respect for each others music, a couple of brief chance meetings, and most importantly, the discovery of their mutual passion for the early traditional music of their homelands. The set list for The Heritage Projekt begins by presenting the oldest form of music from both bands’ traditions, builds into medleys that highlight songs and tunes from Estonia and the Ottawa Valley that sound like long-lost cousins, then melds into selections both bands have composed together that fit within these traditions. It’s a journey of their roots and influences from history into present day. It is an opportunity to preserve and continue this heritage music all at once. Both bands grew up rooted in the music of their specific region, honed their musicianship, and began to draw inspiration from other sources in forging their own brand of roots music. 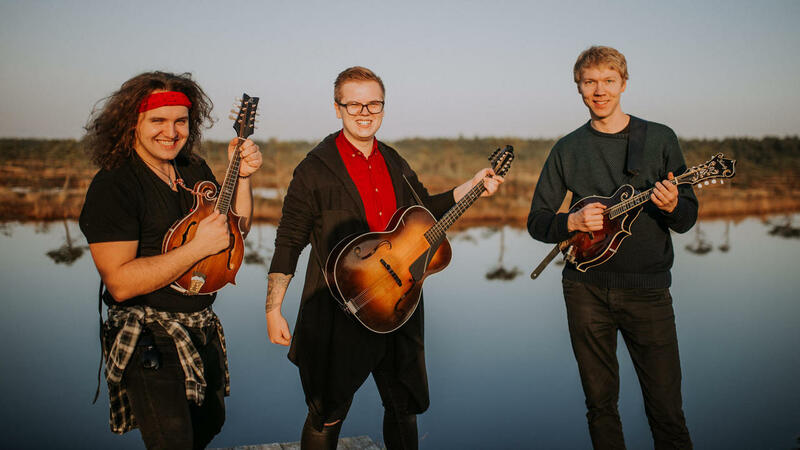 For Curly Strings that included blending inspiration from American bluegrass with their Estonian cultural space, and for the April Verch Band, fusing Old Time American, Scandinavian and classic country influences with regional Canadian styles. While standing in a long line together at a burger joint in New York City, the bands entered into deep discussions and comparisons about their homelands and musical traditions, and quickly discovered that they had a lot in common. Both Estonian and Ottawa Valley traditional music styles grew out of a mixed pot of cultures and people, and included dance music from the various immigrants who settled in each location. A question emerged amongst these young musicians from opposite sides of the globe. What would a collaboration sound like that honored these timeless traditions and celebrated the common ground of these unique ethnic styles? Thus began, The Heritage Projekt. 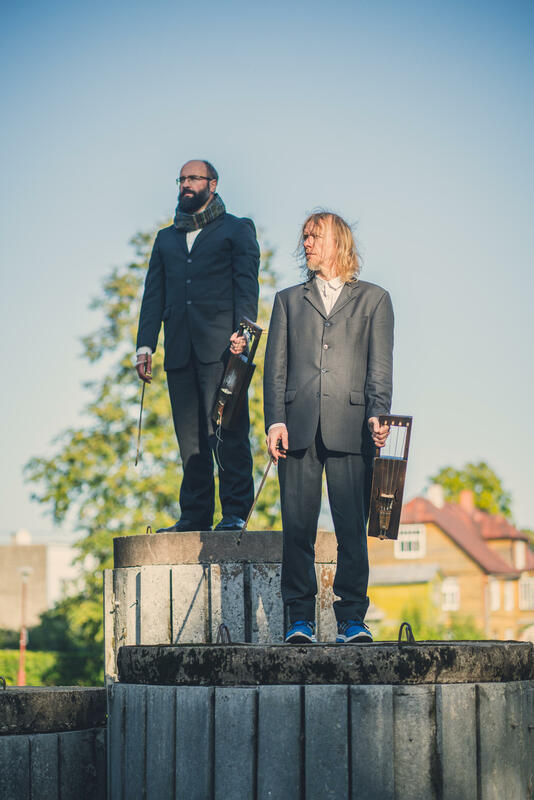 Tintura and Arno Tamm have got together for the 27th Viljandi Folk Music Festival, to create a special production dedicated to Estonians who’ve been force to leave their homeland. Songs, that have been brought along from the home country, songs, that have helped to retain the memory of the long lost home, stories behind these songs, and the tunes that have managed to survive despite everything and found their way back home - all this creates a truly powerful story worth telling and remembering. The heritage of Siberian Estonians has inspired many musicians lately, but this is a first concert dedicated especially to the music of Siberian Estonians. 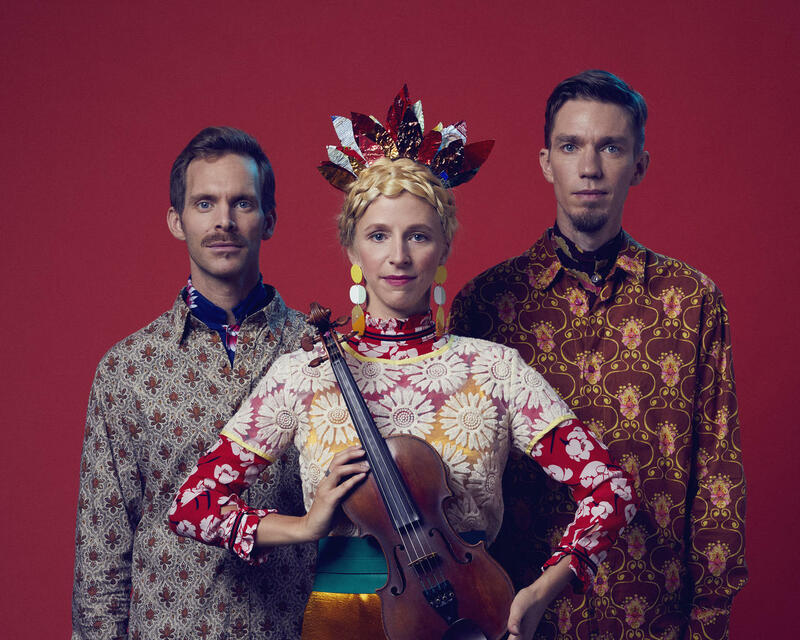 Tintura, a band playing with folktronic, trip-hop and worldmusic, and Arno Tamm, the frontman of Paabel, will bring you their contemporary vision on how to bring back the tradition and move forward within it. Trio Durand Millet Raillard comes from a mountainous region of Morvan in Burgundy. The members of the trio have been surrounded by traditional music of the region from early childhood and today they are one of the best ambassadors of the traditional music of Morvan region. This inspiring trio is doing a wonderful job at keeping the purest and the oldest function of folk music alive - they play for dancing and for delight of the community. 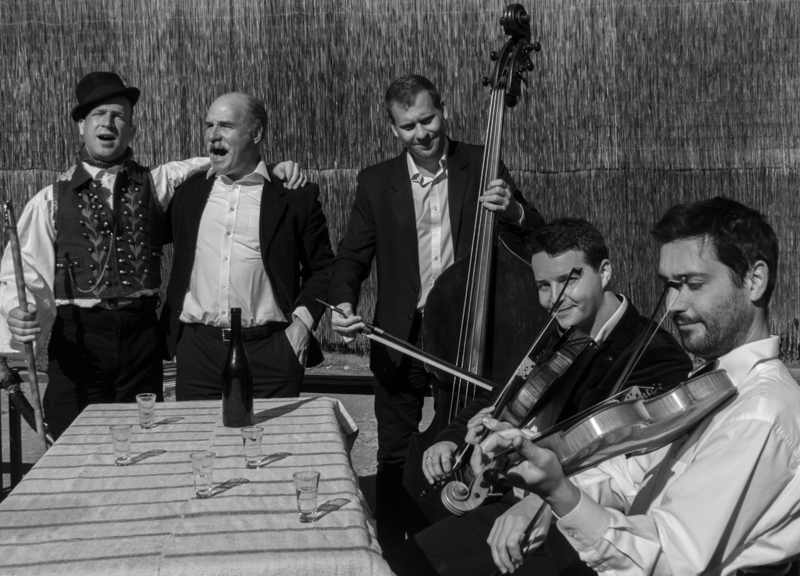 They explore a repertoire of traditional Morvan music from which they create modern, dynamic and original arrangements for an energetic performance. This is a real treat for everyone who loves to dance the night away! 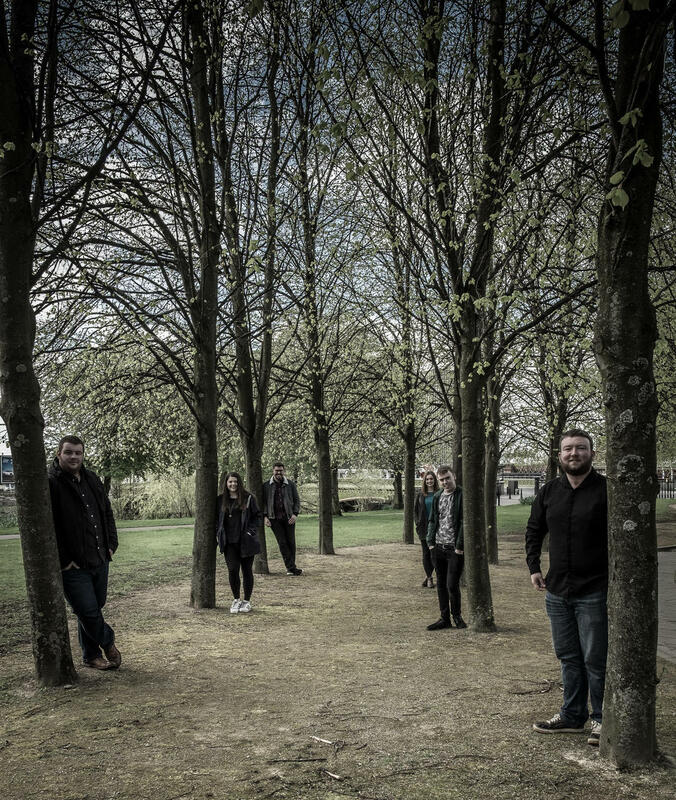 TRIP, formed in late 2016, are a Glasgow based five-piece band whose music spans four corners of the Celtic diaspora. Their considered arrangements intertwine the traditional melodies of Scotland, Ireland, England and the Isle of Man with contemporary and self-penned tunes to produce a powerful, driven and distinctive sound. The impressive line-up features Newcastle accordionist Michael Biggins, Sligo flautist Tiernan Courell, Manx fiddler Isla Callister with Scots Rory Matheson on piano and Craig Baxter on bodhran. 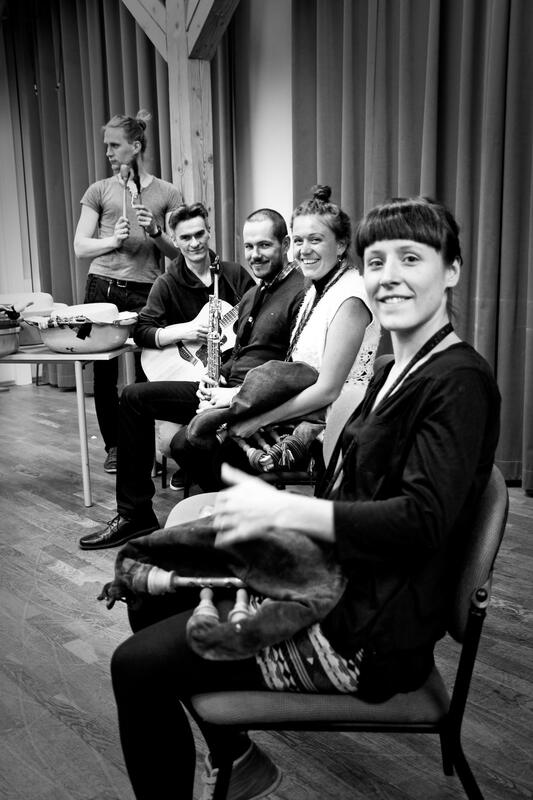 All currently in their 3rd year at the Royal Conservatoire of Scotland, they are at the forefront of the innovative movement of young traditional musicians on the Glasgow scene. 2018 has been the band’s busiest and most successful yet, with performances all over the UK and further afield, including appearances at internationally acclaimed festivals such as Celtic Connections, Orkney Folk Festival, HebCelt and Festival Interceltique de Lorient. They were also semi-finalists in the BBC 2 Young Folk Awards. This is going to be the 16th Viljandi Folk Music Festival for Zetod! 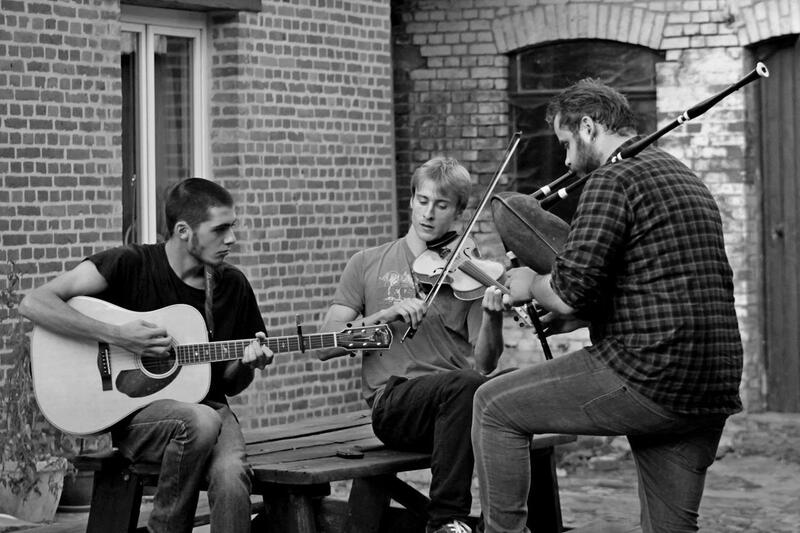 These lads have been raised in a spirit of folk music since the day they were born. 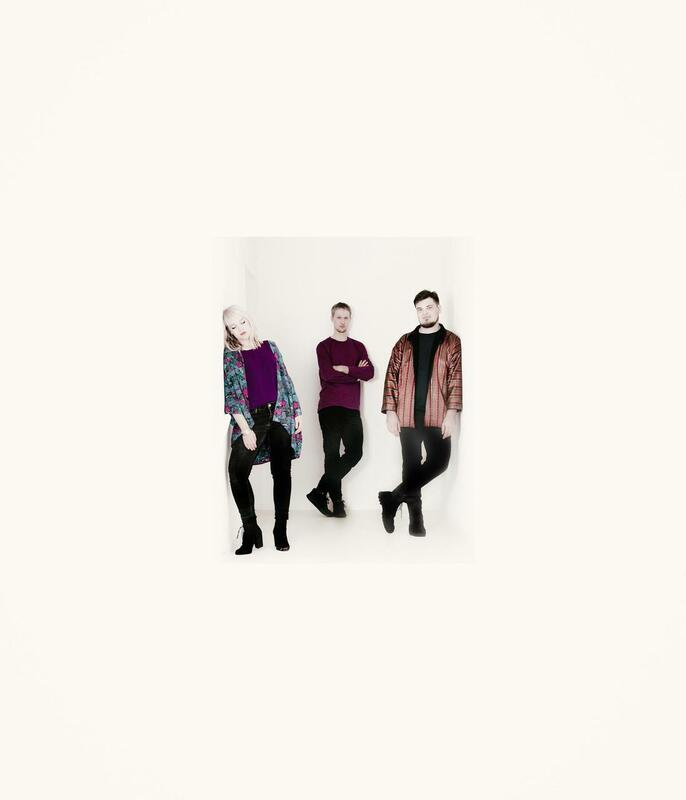 From one stage to another – hardly any folk festivals go by without this band. 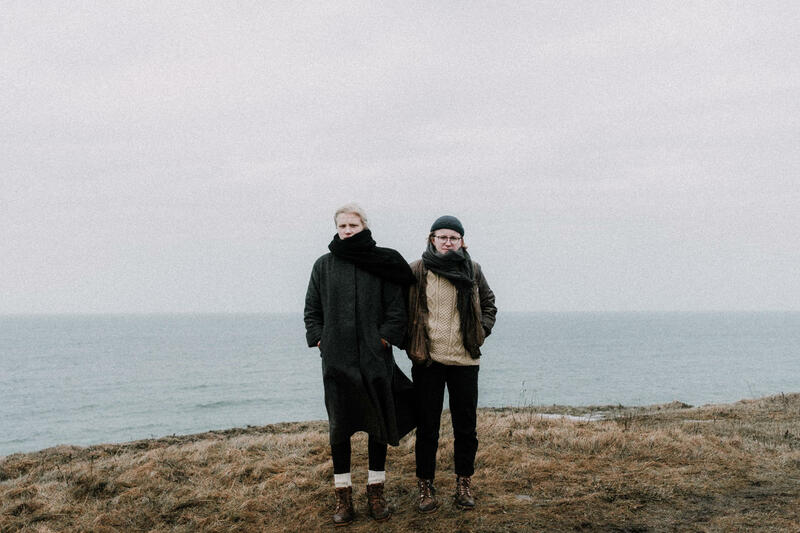 Although the members are still pretty young, the band is definitely one of folk friends’ all-time favorites and could easily be put in the category of Estonian folk music legends. Today, they are as full of life as ever and keep on going!